I’ve been challenged to the Ice Bucket Challenge for ALS awareness. This means I have 24 hours to either douse myself with a bucket of ice water or donate $100 to the ALS Association. Watching celebrities and high school friends hop around in discomfort after experiencing the surprise is fun, but how much good does a social media phenomenon like this do for the cause? It turns out this particular challenge has been quite productive for the cause at hand. The ALS Association reports raising much more than the same point last year. This challenge, it seems, is working. As of Monday, August 18, The ALS Association has received $15.6 million in donations compared to $1.8 million during the same time period last year (July 29 to August 18). These donations have come from existing donors and 307,598 new donors to The Association. This is great news, obviously, because people like me, who haven’t had a direct relationship with the ALS Association, are now donating to a truly important cause. Social media awareness campaigns need more than a good cause. There have been others, however, that just seem to raise eyebrows instead of funds. Take the popular “girls only” campaigns of a few years ago to raise awareness for breast cancer. I couldn’t bring myself to ever post the color of my bra as a status update. It seemed pointless. And the one where profile pictures changed into favorite childhood cartoon characters? Nope. I don’t believe that did much to raise awareness for child abuse, let alone actual funds to prevent it. Considering what works for fundraising on social media compares to what works in general. I think there are four key components to this successful campaign. The concept behind the Ice Bucket Challenge is having one individual directly challenge several others. Instead of the “I think this is an important cause and you should, too” posts which become overwhelming, we are connected to friends directly asking us to do something. The ALS Association isn’t the one asking. It’s our friends. And they’re calling us out directly. It works! 2. There is No Sad Story. Sometimes sad stories really do work in fundraising, but in this case, the challenge itself is joyful. 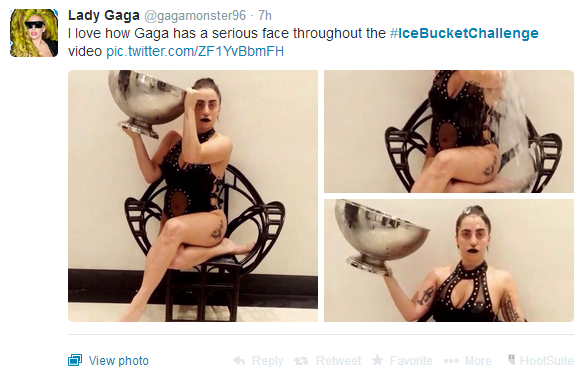 Watching friends and celebrities alike respond to a bucket of ice cold water over the head is funny. The joy of the challenge is what makes us want to participate. 3. There is Smart Use of Social Media. By leveraging the public tagging of friends on Facebook, Instagram and elsewhere, social media is a huge part of the success. This isn’t about getting a postcard in the mail you can discreetly recycle. This is about standing up and accepting a direct, public challenge. 4. The Donors Are The Stars. The people who participate by starring in the videos are the stars of this campaign. This isn’t about cartoon characters or something obtuse. Everyone is a celebrity when they create a video and publicly challenge others to do so. While some are complaining the videos are now tired and the campaign is “annoying” in their feeds, I think this particular social fundraising campaign is clever, entertaining and successful. Oh, and me? 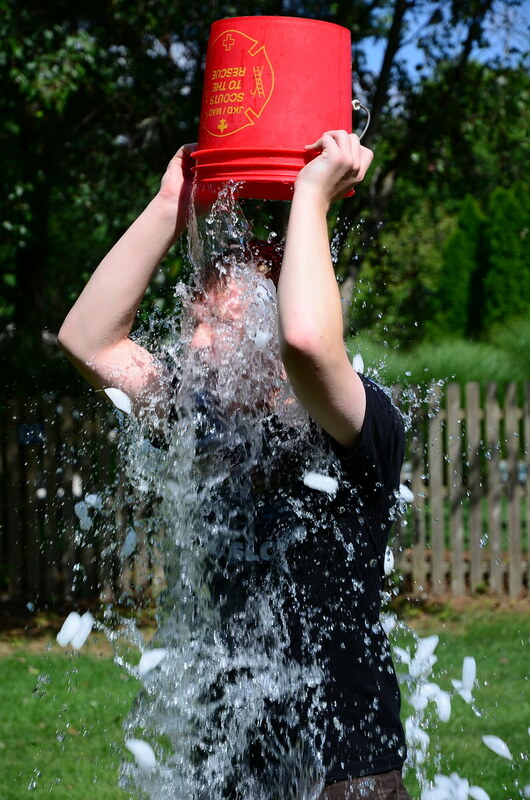 I took the challenge by both donating to the ALS Association and planning on an ice bucket dance in the near future. How about you? Have you accepted the challenge?